It has been a while since the last newsletter, but we are back on track and with the New Year well underway, I thought we could start with a simple, but very useful, application to monitor a circuit. Most of you would have come across a piece of equipment failure where you wish you could have been notified when it started right? You are called to a Freezer and the defrost elements have failed. Problem is this was only noticed when the entire evaporator has turned into a solid block of ice. The only way for you to replace/repair the elements is to get rid of the ice. Just that costs you half a day alone plus you have the client anxious as he needs the freezer running. So, how could this have been avoided? 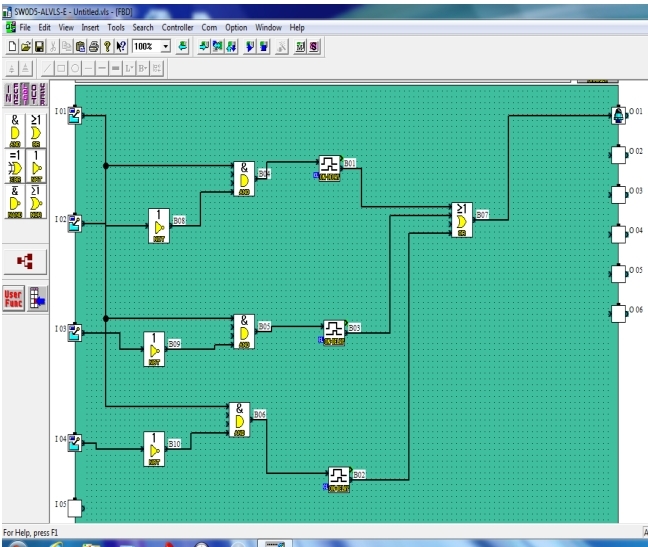 We will use a very simple circuit to do this for us. Assume the elements are 3 phase. First, test the elements with your continuity tester to make sure they are all working. We will then install 3 current sensing relays, one on each phase going to the elements. With power on, you adjust the relay until the normally open contact closes. Simply put, this means that the current being drawn by the element is the same as the setpoint on your current sensing relay. This means that when you have one element fail, the current draw is lower and the relay will not switch. Make sense? This now provides us with a contact that will “make” when we draw current and we will use this contact to provide us with the alarm signal. We mentioned the Mitsubishi Alpha Controllers previously and this is what we will use here again. The elements are switched by a contactor. We will use a normally open from this contactor to provide us with and input to tell us that we are now in defrost mode. With this input on, we also need the 3 signals from the current sensing relays to be on. If any one of them is not, we go to alarm state. You can make it easier here for yourself to use each one of these inputs as a different line for the alarm. That way you can see which phase the faulty element is on. For the alarm there are many options. You could use an output to turn on an audible alarm which would work well provided there is someone on site. The other alternative is to send this output to a dialler or GSM modem to provide the alarm to the person on call. The options are yours. Decide which will work best for you and modify the circuit to suit. Have a look at the circuit below and see if it makes sense to you. Note I have not labelled the inputs or output. Work out what they are. If this does not make sense to you, let me know and I will post a circuit “walk through” to explain. Till next time, stay safe and take pride in your work!